The Thunderbird is seen as an agent of change that helps determine be­havior within the dynamics of both family and community. When I was young growing up in the Pacific Northwest, I had an affection for Thunderbirds. Any piece of native American jewelry, totems, art or stories involving this bird drew me in. I was focusing on the astrological aspect this summer called Saturn in Scorpio at 16* direct inconjunct Uranus in Aries at 16* retrograde, and was inspired to use the nature of the Thunderbird as an analogy for this cycle. Some people have had difficult things going on and feel a frightened energy beginning to replace a once held faith and hope. At the least you might have been experiencing a stagnation. This is like an insertion of something dark that is trying to take over. The question asked is how do we shift this oppression into that powerful inner knowing and trust again that we are back on track with all involved in our lives and on the same page? I went deep into this inconjunct and knew that if Uranus followed its typical role it would suddenly hit a certain point at a particular date and jar loose the Saturn stagnation that has occurred in our lives. A particular soul lesson is being taught through the inconjunct aspect this summer. Once this shift occurs and the old is discarded, a new insight is chosen for our highest good. Then it becomes a new pattern that we embrace and incorporate into our life. Step One: The first stage which began around June 15 is to accept something is really disturbing you. ( I believe it began much earlier than June 15, but this is technically when it became so obvious, you could no longer guess) You are being shown a situation must change. It’s time to do this maturely and intelligently. Step Two: This is the stage for deep prayer, soul searching or asking the universe to intercede. Yes, ask it. THIS IS PART OF THE SHIFT FORMULA. You want to ask the universe to make this strangeness GO AWAY for good. Step Three: This is the stage where you need to remember a vision you possessed at one time. Get that desire back. You want to be reminded of what you desired to experience in life. What meant so much to you that your life was arranged around it. The faith and belief in this thing became compromised some time ago. It doesn’t matter now how that happened, this step is to believe it is the correct thing to do to embrace that vision again in some form, and go for it. The pure vision is to be restored even though you might not be sure how you are going to pull it off. Here is where Uranus comes in like a storm transforming the one path into a brand new path. But Uranus’ job is to create a flash of change, not sustain it. That is where your will comes in. Your self discipline and maturity needs to commit and sustain this new vision or situation. You know you must change something that has gone wrong, and be true to what you deserve and feed it every day, nurture this ideal and work it…and never let it go into neglect until it becomes the new standard in your life. This is a blue ray action. Now call to your Higher Magnificent Self, God, with a request to come quickly into your world, all around you, and hold this vision with you and make this happen now! Then write down one thing you would do that day to move forward on that commitment. You might want to study or train yourself or incorporate some new perception into your outlook with life, and that needs practice and discipline. Begin getting used to seeing yourself in the future in this new way. So Step Three is restoring the original dream and believing it will take form soon, quickly with the speed of light, and commanding all darkness to leave you and your vision alone. Back off! Feel and know your Higher Self, your Magnificent Presence with unlimited wisdom will be right there with you making this happen. Higher energies around us love working very quickly to turn dark things back to joy and progress! This summer Uranus the planet of change and lightening, in an inconjunct aspect to Saturn in Scorpio, is similar to the action of the Thunderbird. The myth depicts the arrival of an enormous bird, releasing the thunder, lightening, and the great wind to powerfully disrupt and shift a situation with a new innovative freedom. This new energy will be more in alignment with our higher identity. The power of the Planet Uranus, with its electric alchemical action, impersonally transforms situations. The Thunderbird does this very thing in myth…and does it for the peoples’ own good. Saturn in Scorpio possesses tenacity when used for good. It can handle the most complicated jobs. But when negative ( which this Saturn is representing now) is dangerous and subtle, with complex motives and negative personal desires. It acts through a person, a group, a corporation or movement, in a sneaky, subversive duplicitous manner, giving lip service to those it wants to trick, while all along moving forward with its devious sneaky creepy plans. ( If you want to see an excellent example of this in full action, watch the entire series of House of Cards, oh yeah, you won’t believe it. This is how it’s done people). The aspect between Uranus and Saturn this summer, forces a dramatic adjustment from a dark compromise that has been trying to get a deeper foothold into your world, to one of refreshing purity and light. When Uranus takes action, it will appear like a transformation of energy, suddenly, like a serious lightening storm. The action of the Archangels is similar to the myth of this bird. This transit begins as a bit troublesome early summer around the first week of June. In the beginning, it might seem as if the complexity or heavy energy is too oppressive to transform. But, Uranus, watching patiently for the right moment will challenge the Saturn’s presence as a dark spot in our lives. When this timing is released, the Uranus shifts the darkness into a new day and changes all things into a new beginning. Something has been revealed now, that must be taken care of, and will still require work and courage to complete the transition of this situation. But when this conversion takes place, joy replaces emptiness, confidence replaces fear and uncertainty. We then need to keep up this new higher lightness with every erg of confidence and vision we can sustain, until we get into September 2014. The inconjunct then is completely behind us and we are like new. In a twinkling of an eye. The timing of this change can be anywhere between July 12-22. Uranus moves to 16* Aries direct, and Saturn has moved retrograde back to 16* Scorpio the closest aspect, July 20-22 2014. The old way, or stuck part, could also be looked at as an energy, a person, an old pattern, that is being held in place like a mesmerism. It might be for some, an unnatural intrusion into our life from mind control, psychological warfare, or a kind of technological/psychic manipulation. The reason I am going down this road is because of the anxiety level felt. There are several methods of psychological mind control that are used. Nevertheless, the breaking of this spell will still happen from the Uranus, like a swift clearance or judgment. Again, whatever disturbing thing has befallen you, me, the world of beautiful souls, we are being forced to wake up and see a danger that must be conquered now. It is in complex form outpicturing in our life. The antidote is the formula above. So, even mind control at any level, could be part of the danger that crept in unawares and now Uranus is moving in to put so much spiritual pressure upon us, by our own uncomfortableness, we command an awakening and a release from the pressure into the higher world of peace and clarity again. Something made us vulnerable to whatever this is. It is personal, national, and global. Psychological warfare, psychotronics could be used aggressively to disconnect us unnaturally from our confidence during this astrological cycle. Even though the change or shift is necessary, and will happen, the interference could cause the change to take longer, or we have to struggle with our confidence. It feels as if everything you try isn’t working, or at a snails complicated entangled pace…with the anxiety present. It might be a necessity of altering your plans and adjusting to new facts that require certain steps to take, in order to stay on top of this problem. Some kind of war or battle is happening inside of people’s minds and emotions, I have been informed by many that this is their struggle this spring and summer and, it is quite disturbing. Saturn in Scorpio has been testing in how much you truly love and believe in your precious dream, since October 2012. It has been testing you in love, truth, and the vision. It tests your convictions and devotion to your ideals. The dark part of Scorpio, could have interfered with your vision. You were tested on what road to take in order to get to your treasure. Situations could arise and you must decide if you are going to compromise or not. It could also be a test of entrusting something of worth into the hands of another, or suddenly waking up and realizing, it is no longer okay to allow this. What is the thing of Great Worth? What is it you Treasure? It could be a spiritual soulful treasure that dawns on you during your shift, such as, you love yourself and your soul entrusted into this body so much, you are not willing to compromise it anymore, for anything. Since Uranus is the planet of flight, change, transition, alchemy and sudden unexpected alteration of plans, these two planets in this inconjunct are forcing a shift in plans everywhere, and sending us a red flag, something must change in order to continue with our goals. We have to let go of something in order to go up higher. Uranus inconjunct the Saturn in Scorpio, is like the arrival of a Thunderbird filled with lightening and a terrible storm, whipping up the winds of change, breaking an arrangement if it is not staying with your higher vision. The force of Uranus, representing the Mystical Movement of Energy, will compel you to pull away from this old pattern because your vision is being restored.. You suddenly see what really matters and put your priorities in order. Financial issues or commitments might also be part of the complexity of change. The period of this incongruent frustrating period, is June 15 to August 10 2014. However, Saturn will be at 16* Scorpio, and Uranus will be at 16* Aries at the most intense period for resolving this problem, thereby enforcing a shift to be physical, on the days of July 20-22. I feel this is exactly when the conscious positive change could be decided upon. It will be as a huge wind of Light, sweeping into your life, refreshing everything with hope again. What is the end result you have always desired? The actual energy of these two planets clashing like this, is creating a sort of psychotronic field of confusion for people….almost as if something didn’t want us to get clear and become exposed. It could be within us, and/or without. It doesn’t matter if you promised something…you might need to change your mind. Globally, It is the same thing. Something could be manipulating the playing field. This period is highly volatile for accidents, attacks, earth changes, unusual unexpected explosions or financial, military, government movement. Something on a world scene in several areas, will suddenly come to light during July 18-22 and signal the open window to make a necessary accountability and shift. Look at any situation on the planet. Something Saturnian in the sign of subterfuge, arrangements with a hidden agenda or desire, is being boldly trumped now by those who are questioning the constructiveness of a past decision or activity. There are individuals now, who are bold enough to call it out, and demand a shift in the way a country, a department, an organization is headed. Do not buckle under the pressure and go passive under the misuse of power and miss the opportunity to push the situation into a higher way. Let’s hold the powerful belief in ourselves, and our belief in what we came here to do and be. Be inspired with restoring your original vision you have held for so long, and re-engage in that project, that beautiful plan that can deliver great promise of hope. ‘What is the new way you know must be adopted now? Go ahead and lets commit to that! There is no turning back now. Know you have been locked up in a past of old concepts, or a temporary old pattern. Wow, is it ever time to move up higher and actually believe you could be so different! Confidently on track. It may be even looked at like a karma returning to us, where you, we once neglected to make the change for the better, and now we face the enemy again. It’s possible you must straight on face the compromise you didn’t face before, and realize you are not willing to give up something so precious out of fear, lack of courage and faith. You love your life, your soul, and believe so much in yourself and divine purpose, you will not allow a compromise to destroy what you have built thus far, or leave others jeopardized. You have been tested to see how badly you truly desired to treasure something and make it the priority and do what it takes to claim it permanently. Make this the priority now. Don’t worry about saving face, or maintaining a prideful honor by keeping a compromised promise. It’s okay to change your mind. This Thunderbird has come to free you, liberating your work, your future victories. Once you adopt the new-it will bring to you a powerful security and satisfaction. Abundance and protection return as if a Canopy of Blue has now enveloped the entire endeavor once again. The lightening of the Thunderbird, releasing the power and wind of sudden change, its motive is to protect and secure those he cares for, and has vowed to shield. 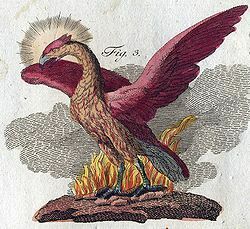 It reminds me of the Phoenix Bird, which is a Scorpio initiation rising from the fire. Why did it have to be thrown in the fire? Because it was not an acceptable frequency. It was sabotaging, pulling you down. I love Thunderbirds, the animal, the myth, its power of flight, its wings, thunder and lightening. It reminds me of the Archangels with their pinions of blinding light depicted as wings, vibrating with intelligent electric light. They come to release change, and a transmutation of things which have gone on too long. Let’s accept this Mighty intercession, and never forget the lesson learned. Christine Barrere sirius@starfires.com 2014 406-222-1763 Sign up for Starfires Newsletters!